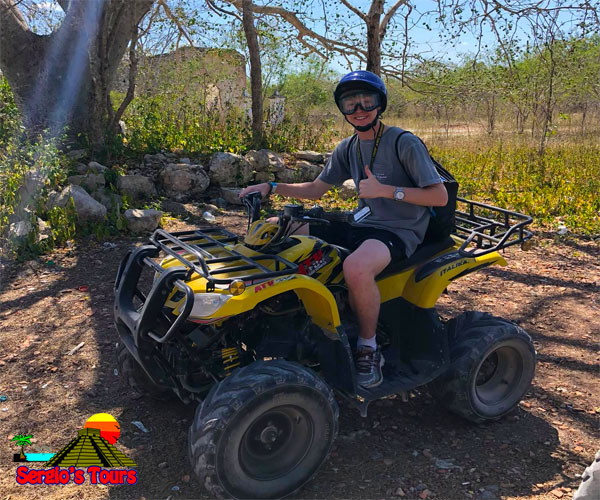 We do our best on every tour making you to have the most memorable adventure at the Yucatán state at the south east of México, the safest and warmest state of our great country. 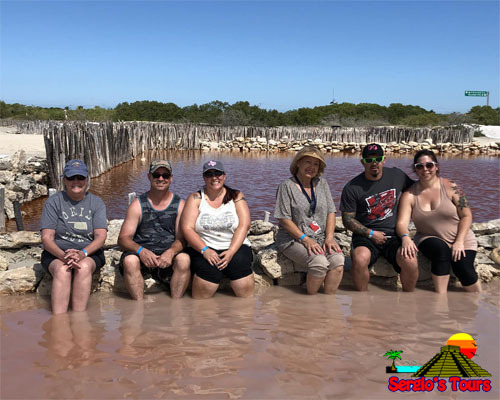 We are the first local tour company allowed to pick up cruise passengers at the pier and also we achieve 2018 TripAdvisor excellence certification. 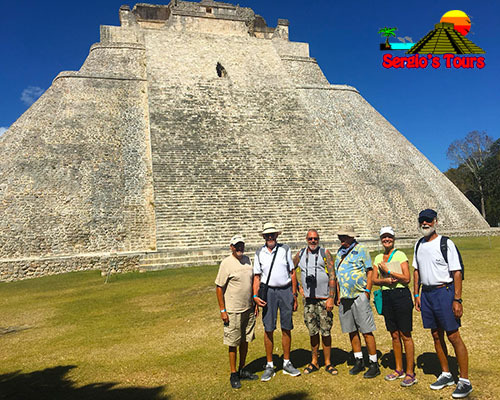 We are a local small company doing tours for more than ten years and for the last two years for cruisers. 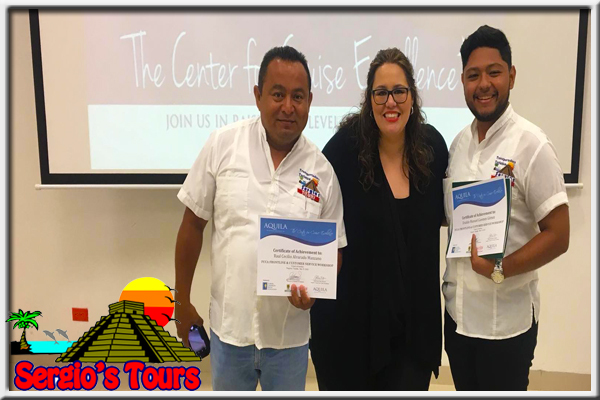 The only with a Mexican federal certification on the touristic area of Progreso Beach. 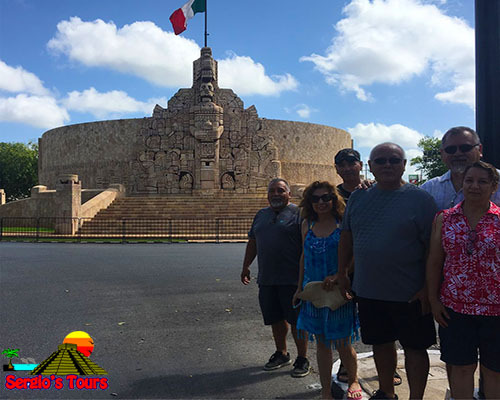 We are proud of being a 100% Mexican company and we also count with the most efficient modern transportation and certified drivers. 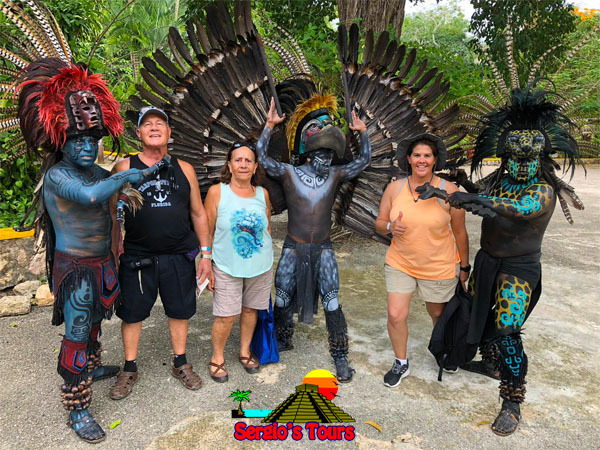 Always picking on special spots where there is not a lot of cruisers so you can have something else to show, making you to interact with the local people and learn from them. 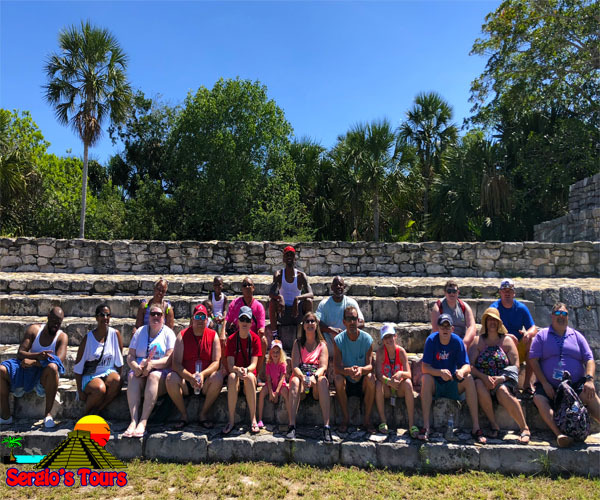 Our specialized tour guides are conscious about showing you not only the beauties of our state but also the other side so you can create your own vision and be conscious on our whole way of living. 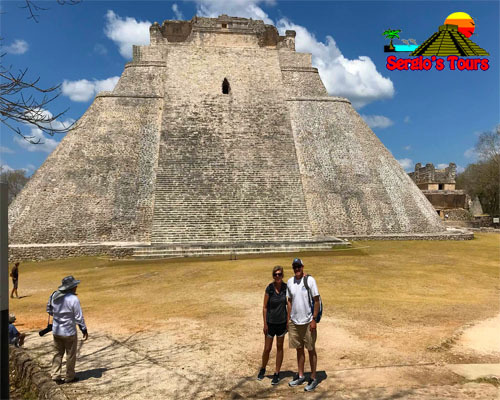 All Yucatán highlights on one tour. 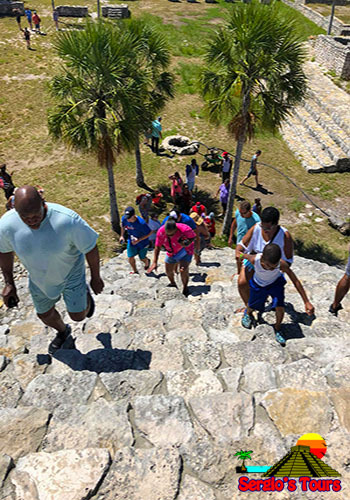 Get yourself on the adventure from fresh water springs to ancient Mayan ruins. 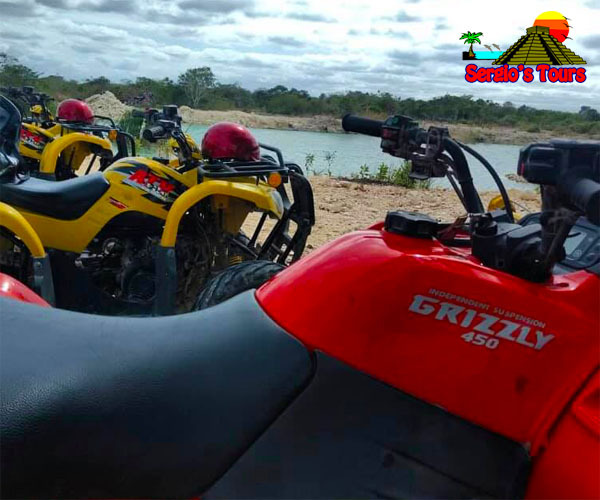 Amazing landscapes, wildlife and a lot of fun. 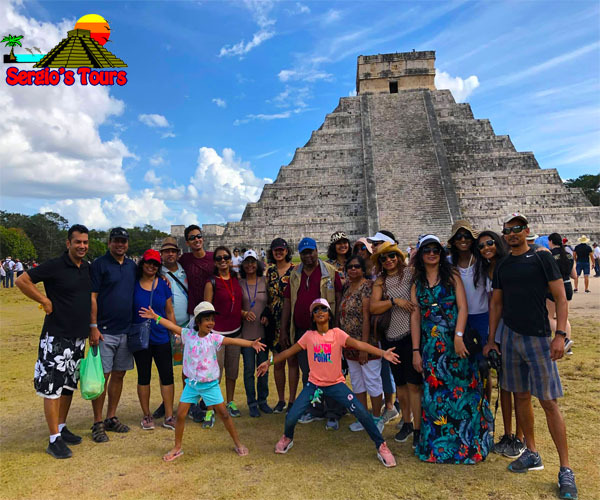 A perfect tour for the family. 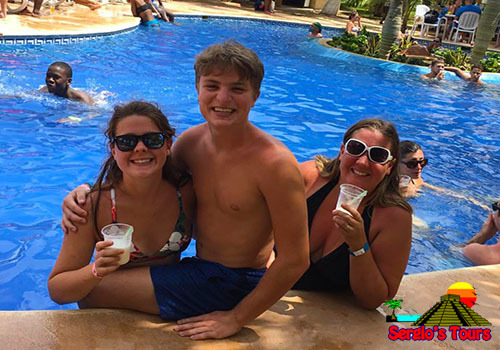 Enjoy and relax at the best resort on the area with all your Mexican favorite drinks and food. 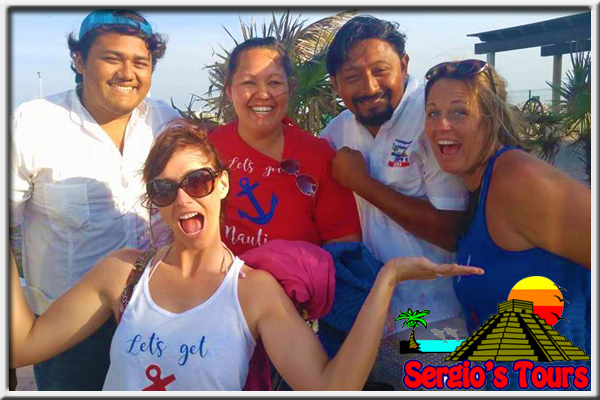 We will pick you up right at the pier a few steps from the ship and get you on a nice quality air conditioned a/c van. 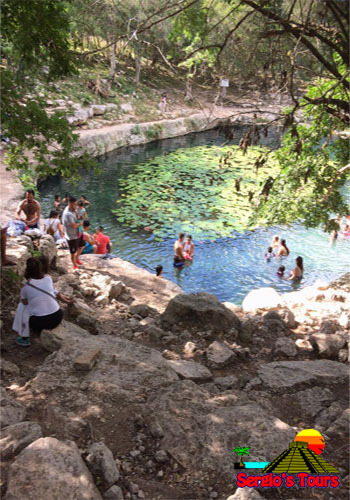 Our first spot at the fresh water springs is located 10mins. 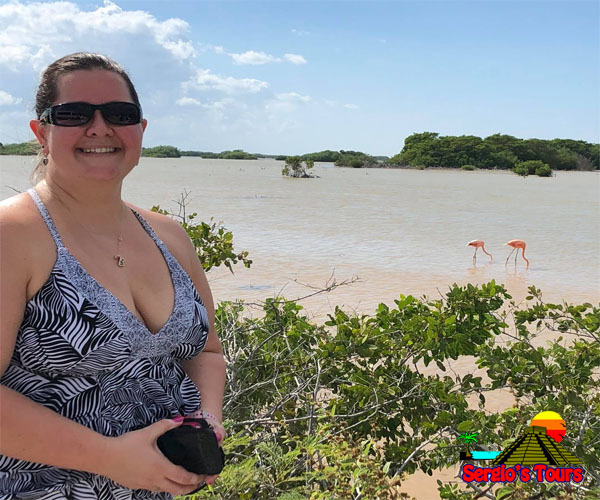 from the pier where you will get on a boat ride to cross into the mangrove. 20mins. 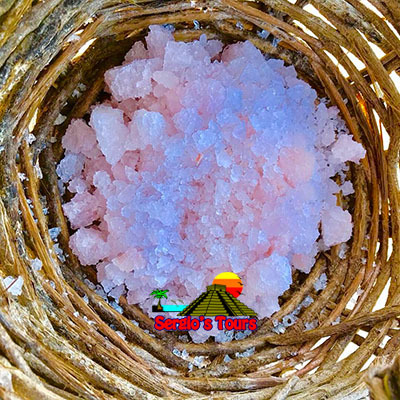 from that at our next spot you will get impress by the pink salt mines and the history behind it plus the best skin exfoliation and homemade old style tacos of your life. 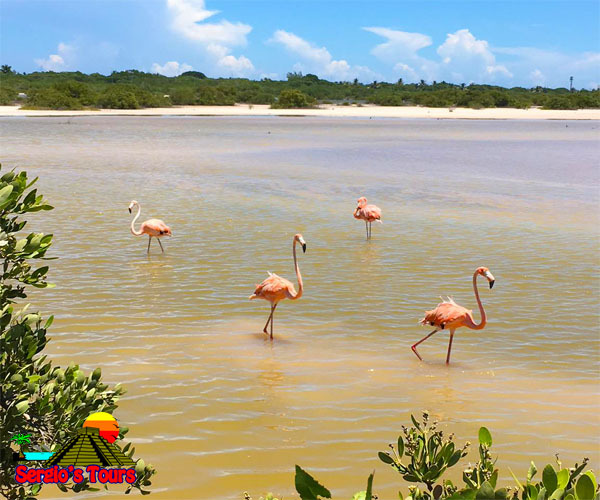 At our third spot you will discover why flamingos are pink and get the most memorable pictures at the flamingo sanctuary. 5mins. 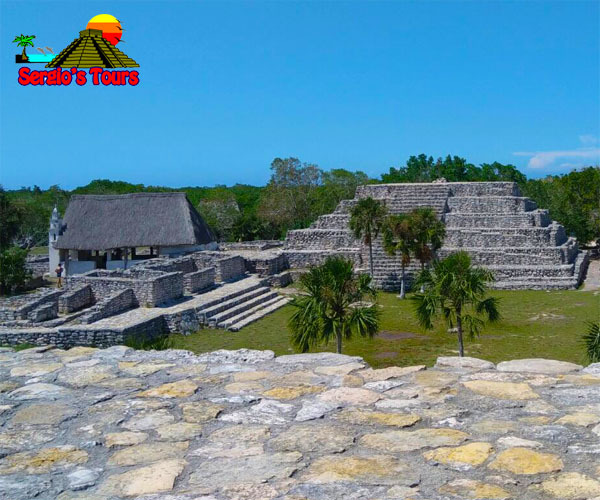 from that you will get to know one of the most ancient Mayan ruins you can get to see on the area and even climb those pyramids. 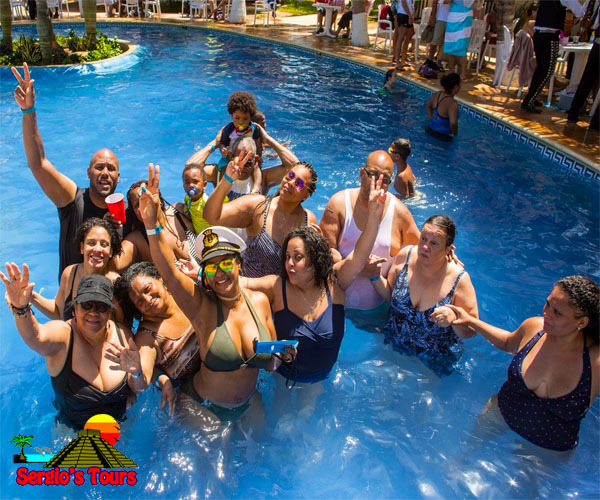 On the way back at our last spot get ready for being treat as royalty with an open bar and all you can eat buffet at the pool and beach. At the end of the day you will be returned safe and sound back to the ship. 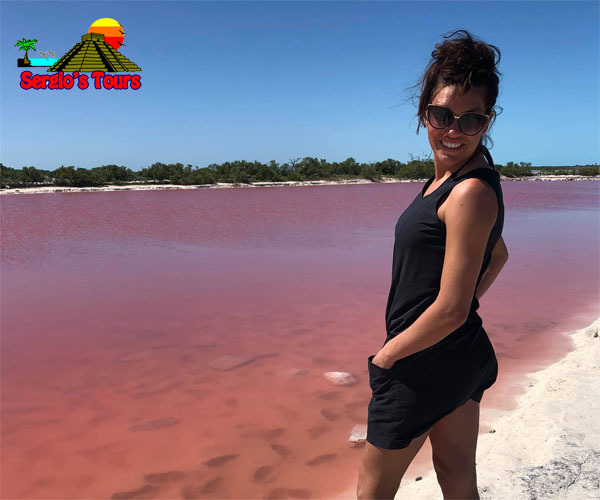 Join us on this new adventure with the same quality and safety that you already know without getting far from the ship. 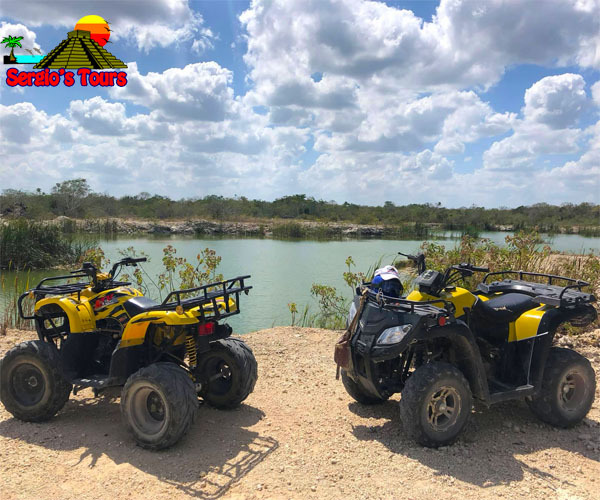 Get yourself on a ride into the Yucatán forest and feel the breeze of pure air. 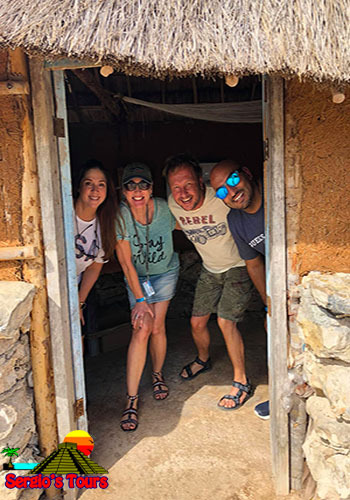 Visit an abandoned village from the 19th century. 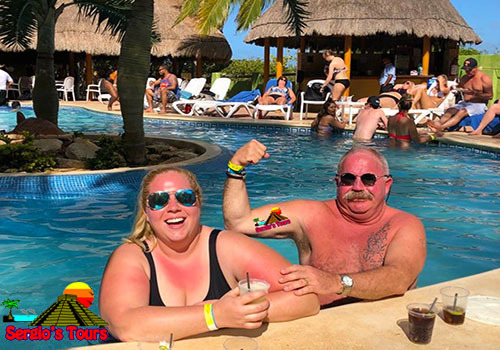 Relax and have some refreshing drinks and all you favorite classic Mexican food at a beach resort with an open bar aside the pool and all you can eat buffet. 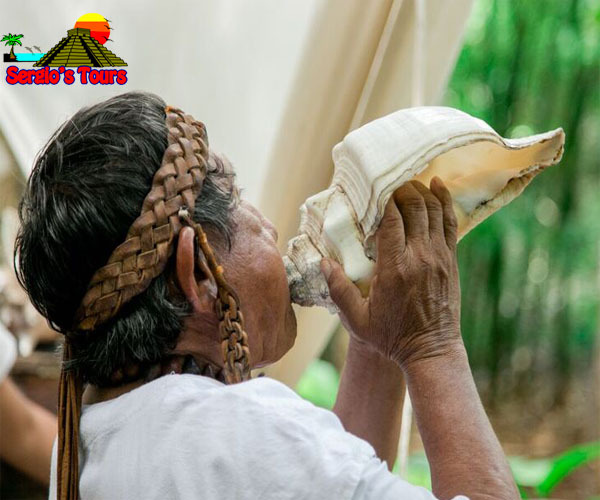 This tour is perfect for every adventurous soul. Ready to get dirty. 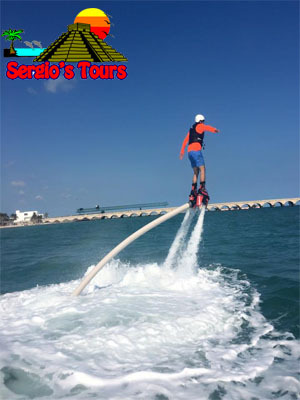 We will pick you up right at the pier a few steps from the ship and get you on a nice quality air conditioned a/c van. 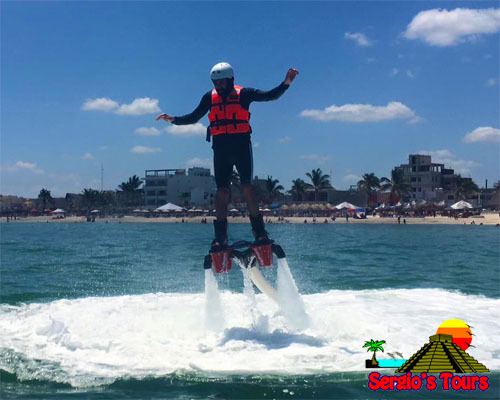 You will travel 15mins from the pier to the meeting spot and choose your ride. 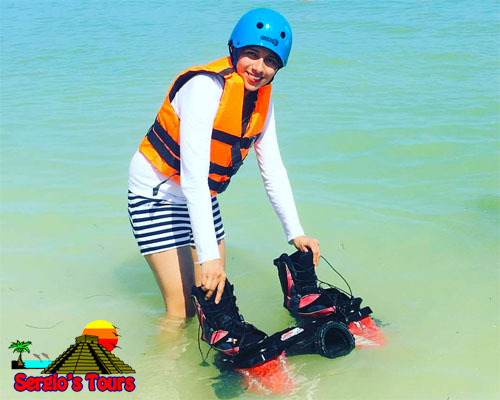 You will be provided with all security equipment. 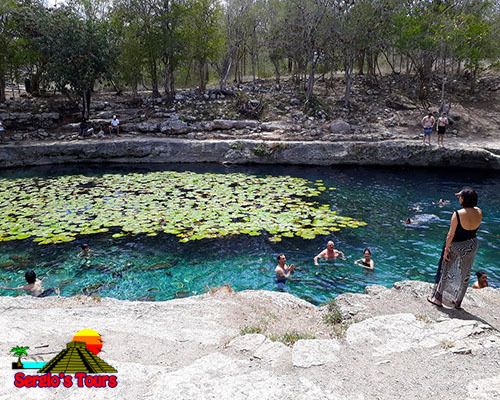 20mins later you will find yourself into the forest then you will jump in at a nice and refreshing fresh water spring. 45mins ride into dirty and rocky road later get where the mystery start. 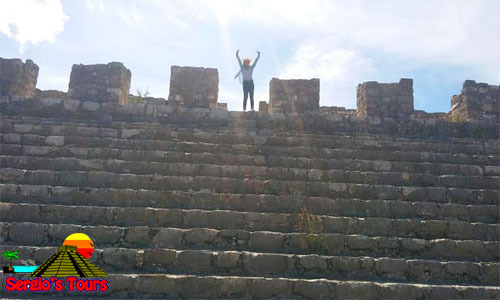 Discover and ancient abandoned village and explore its buildings and surroundings. 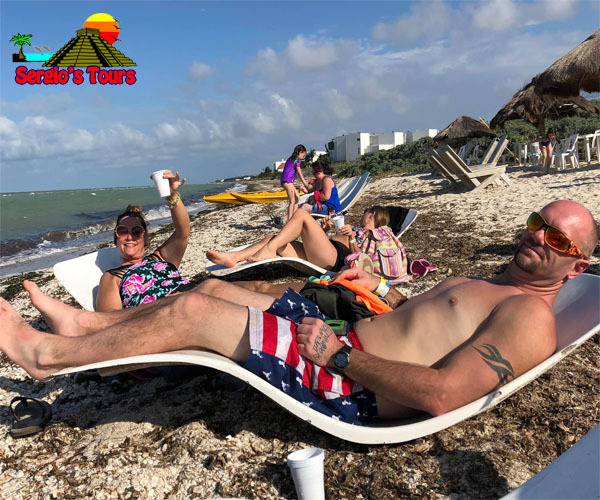 1:45mins at the end of all this exploration will be time to relax at the beach by holding a cold beer and filling your belly with as many tacos as you can eat. At the end of the day you will be returned safe and sound back to the ship. Imagine your self flying over the sea while the breeze fondles your face and the sun tans your skin. 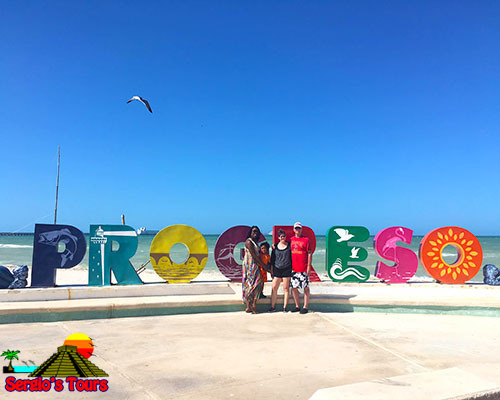 Let’s get into the refreshing and blue waters of Progreso beach to have this really cool experience. 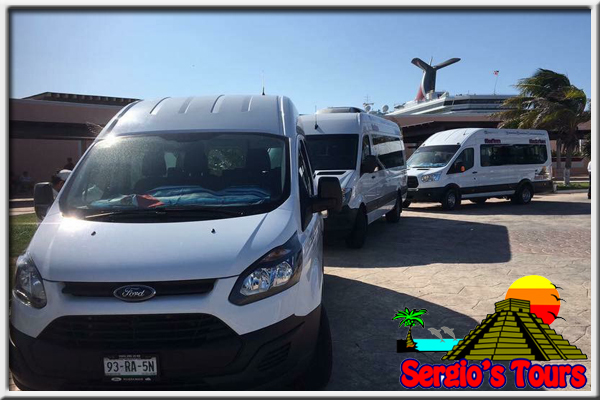 We will pick you up right at the pier a few steps from the ship and get you on a nice quality air conditioned a/c van. 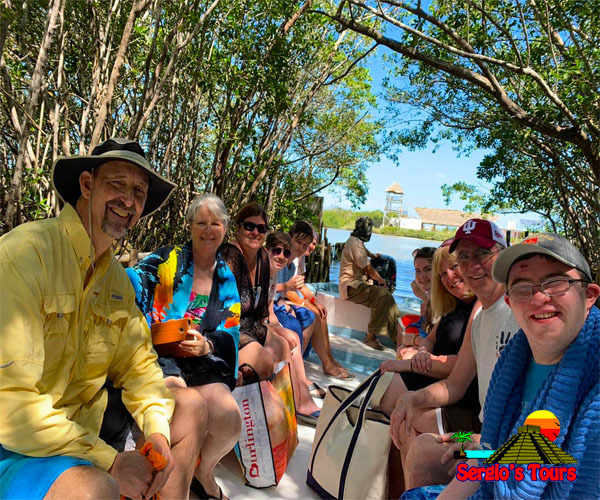 You will be taken to the nearest beach from the ship but far from other people. 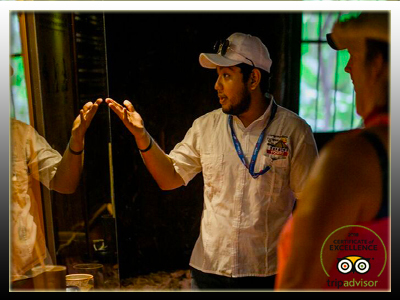 All equipment will be on set and ready for you. 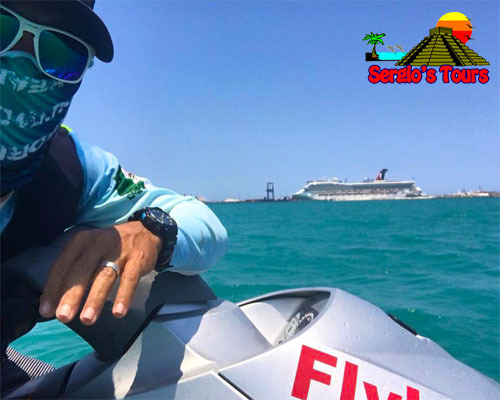 A jet ski will take you to more deep water and that is where the action take place. 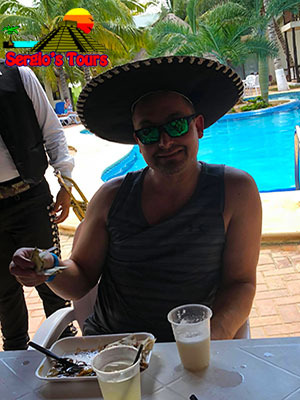 After that relax for the rest of the day holding a beer and having an authentic seafood lunch. 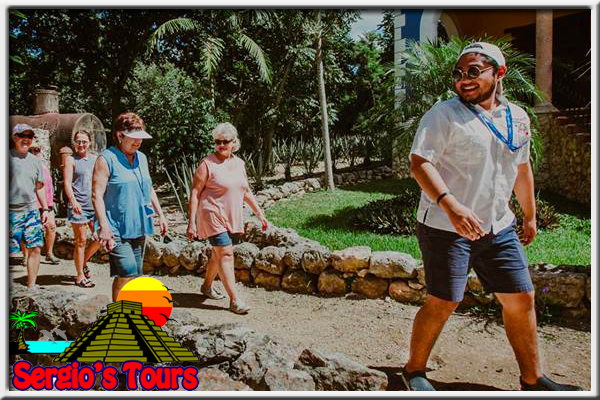 You will have some extra time for shopping and walk the touristic area. At the end of the day you will be returned safe and sound back to the ship. 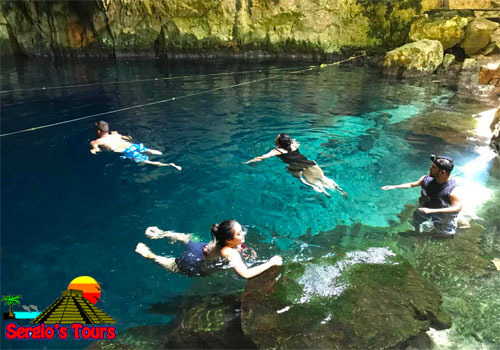 Get impress by the most gorgeous underground rivers of Yucatán. 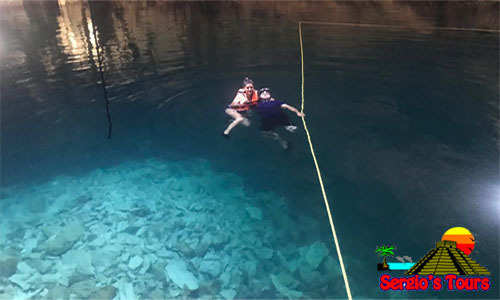 Some of them could be more than 60 feet deep. Once you get there the ride is totally worth it. 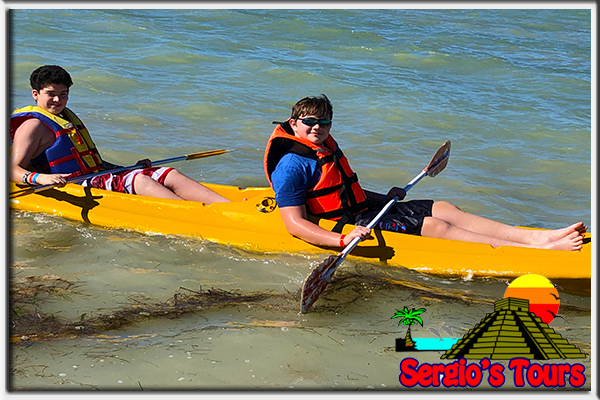 We will pick you up right at the pier a few steps from the ship and get you on a nice quality air conditioned a/c van. 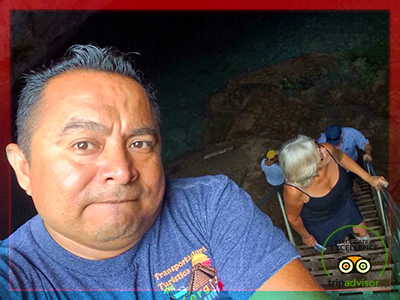 An 1hr40mins ride from the ship you will get to your first cenote where you will need to use a ladder to get inside the cave and jump in. 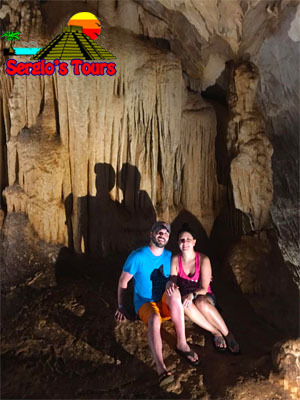 5mins on the way back to our second cenote you will get impress by the roots from the trees at the surface breaking the cave and getting inside to reach the water you will also see ancient Mayan hand prints on the walls. 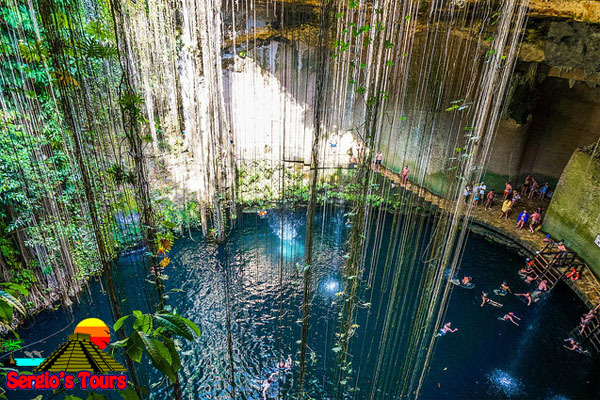 Get ready to jump from platforms and ropes at the most adventurous cenote. 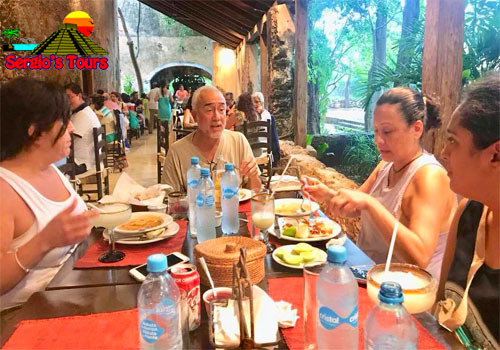 Fill your belly after a great day full of adventure at a local traditional restaurant. At the end of the day you will be returned safe and sound back to the ship. 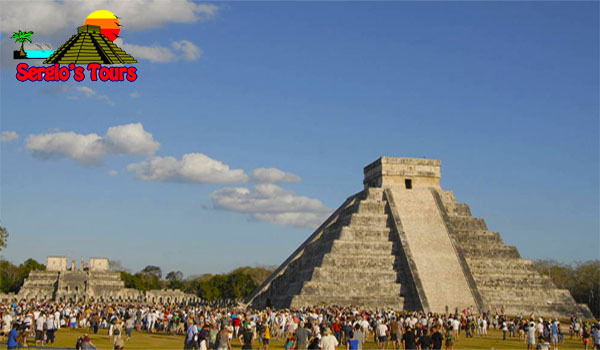 The Mayans still among us and they want to prove it to you. 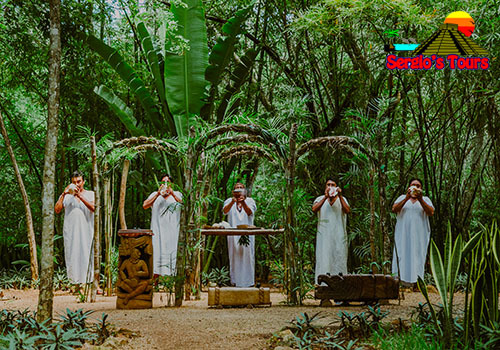 Get to see a real Mayan ritual with really hypnotic music and animal sounds. 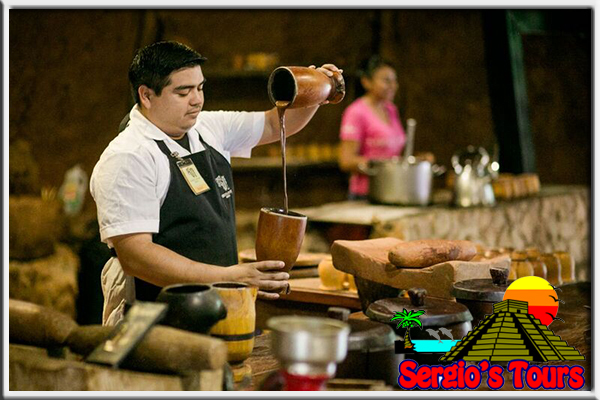 Taste the authentic flavor of the mayan cocoa. 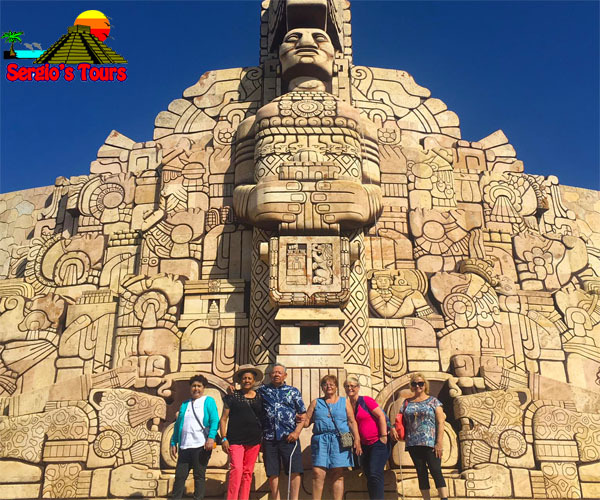 We will pick you up right at the pier a few steps from the ship and get you on a nice quality air conditioned a/c van. You will travel 1hr. 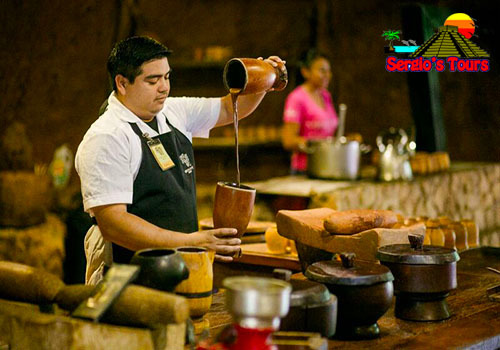 from the ship to the Chocolate Museum where you will get to see the ancient Mayan way to prepare this beverage and how the modernization it’s been changing the quality of this through the time. 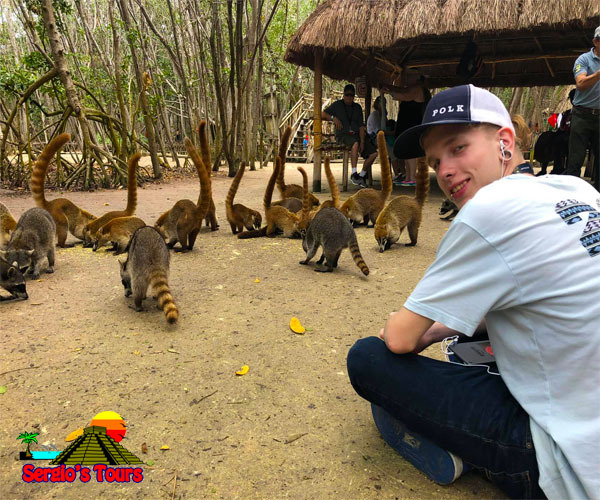 Feed the monkeys and get to see some other rescued animals at the animal shelter at the museum. 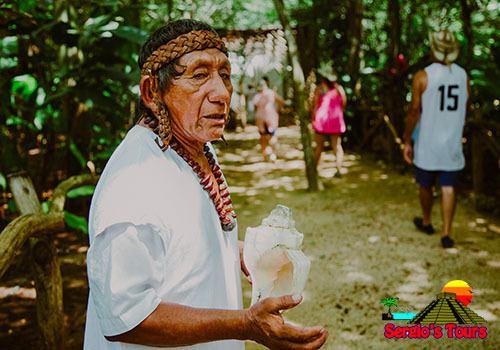 Get ready for the most exciting experience ever while the Mayan wizard prepare the ritual. 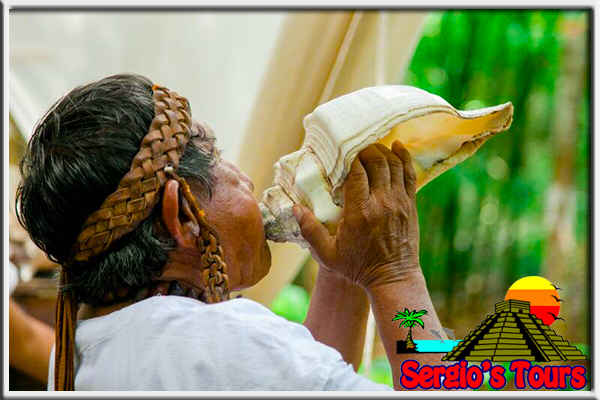 After that great show prepare your palate to taste a totally new flavor and your nose for this delicious experience. 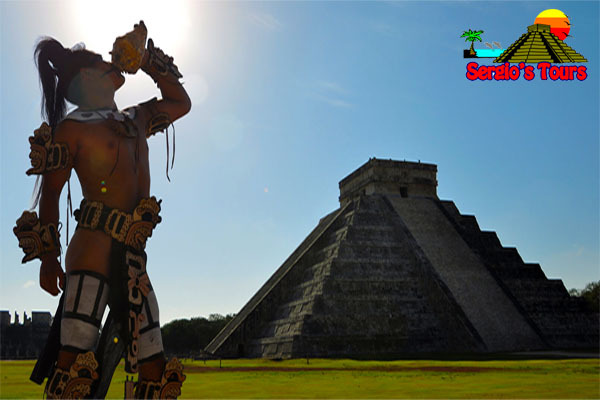 Mayans used blood before they replaced it with cocoa. 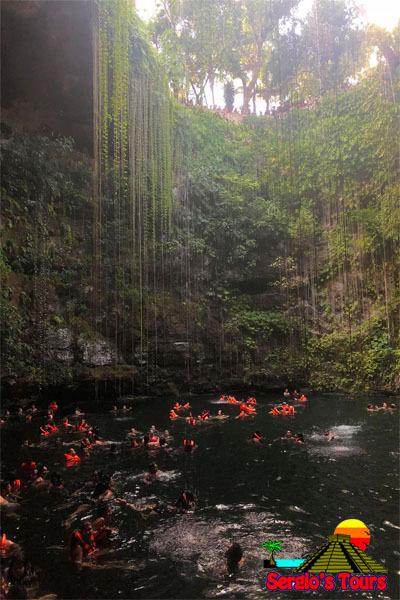 Wash away all stress at an underground cenote. 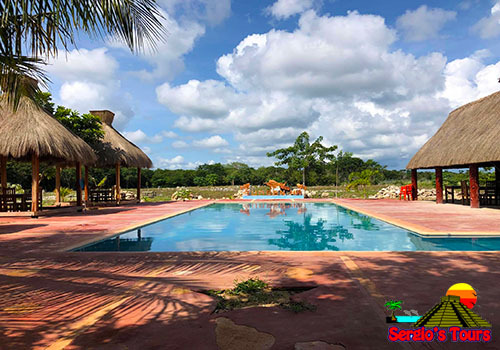 Get to see one of the most beautiful restaurant of Yucatán and taste their delights. At the end of the day you will be returned safe and sound back to the ship. 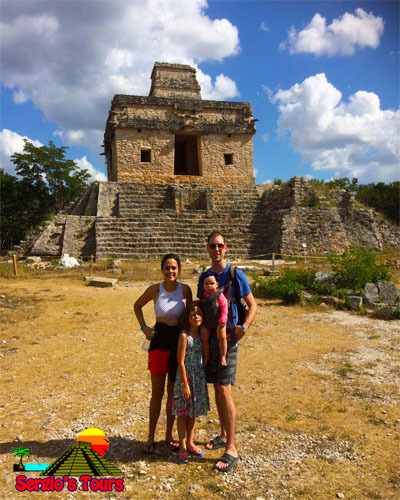 Get to see the real México on an authentic Mayan village. 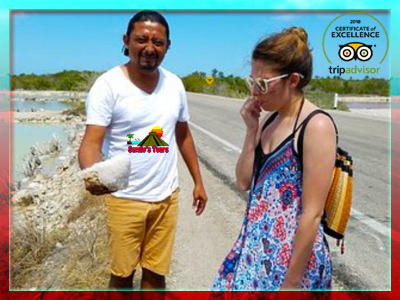 You will taste some amazing real food and have the most memorable pictures at the unique landscapes of Yucatán. 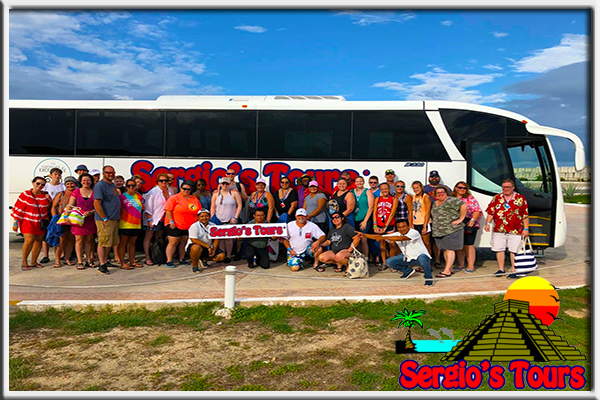 We will pick you up right at the pier a few steps from the ship and get you on a nice quality air conditioned a/c van. 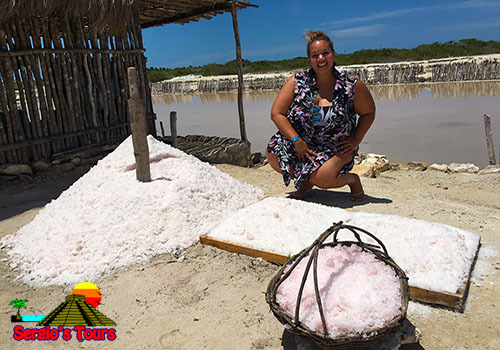 Our fist spot will be at the salt mines where the locals make a living out of it. 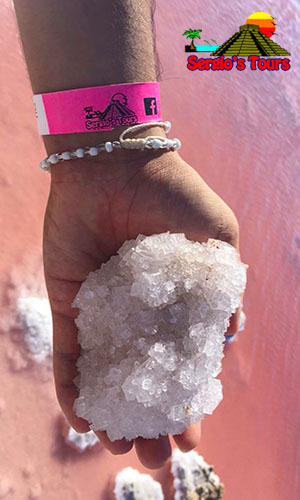 You had never felt an experience like it is getting your feet at really salty water. 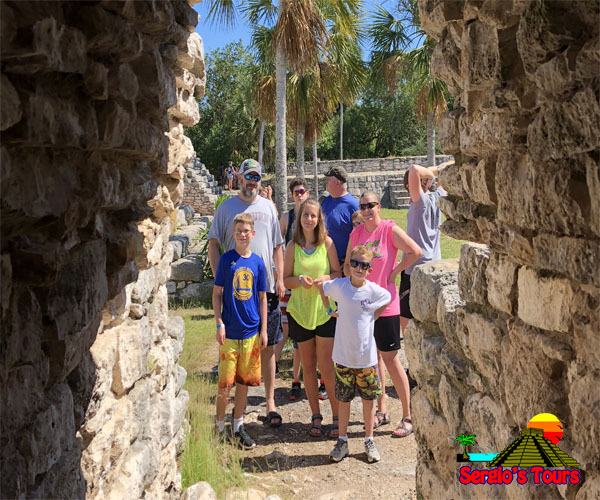 You will get stunned by the Mayan culture at the Mayan ruins where you can still touch or even climb the pyramids. 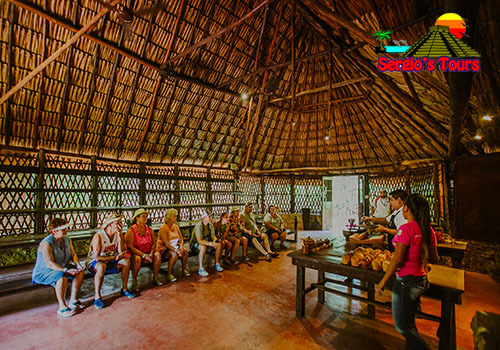 Taste the most traditional Yucatán delicacies. At the end of the day you will be returned safe and sound back to the ship. 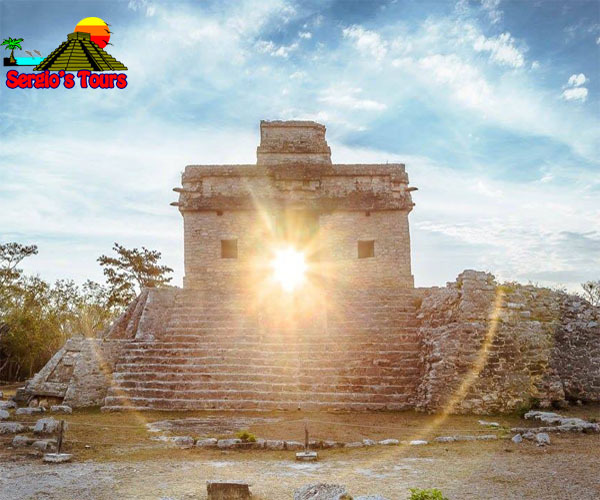 Discover the mystery about the Mayan civilization and get to see the most impressive pyramids on the world. 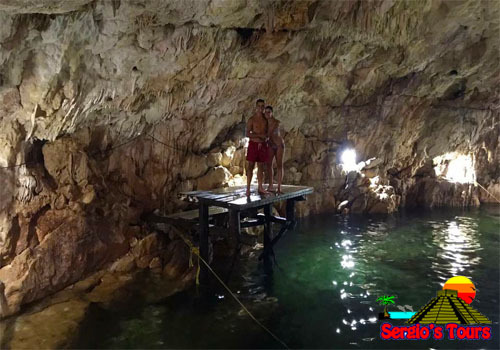 Refresh yourself into a deep cenote and jump from really high platforms. 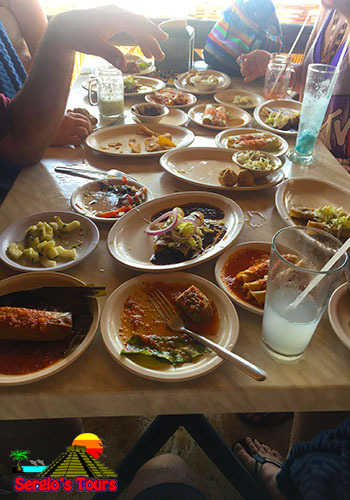 Taste the traditional Yucatan food all cocked from scratch. 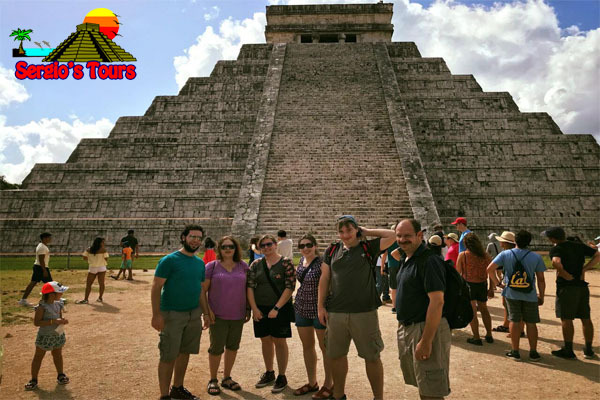 We will pick you up right at the pier a few steps from the ship and get you on a nice quality air conditioned a/c van. 1hr. ride from the ship totally worth it once you get there you will get impress. 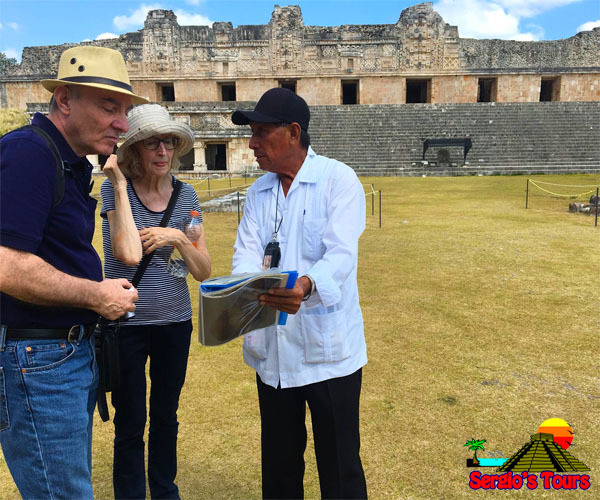 A specialist tour guide will give you all explanations and show you the magic of the Mayan. 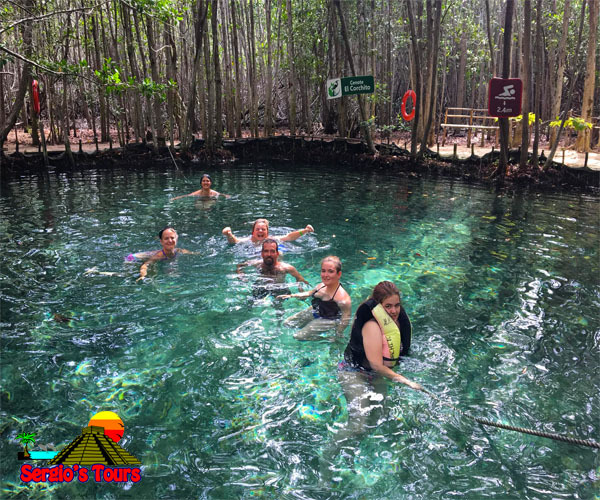 Discover who got sacrificed at the end of the ball craw game and after that you will get to see one of the most impressive cenotes on Yucatán where you can jump in and relax or jump from a high platform if you are an adventurous soul. 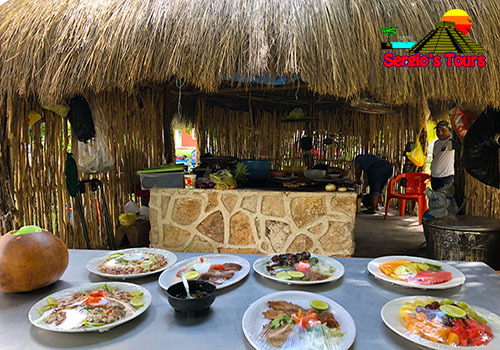 Taste the most traditional Yucatán delicacies at a buffet. At the end of the day you will be returned safe and sound back to the ship. 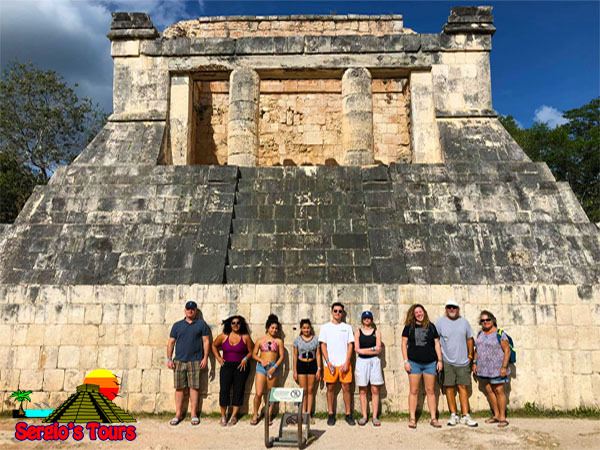 Discover the mystery about the Mayan civilization and get to see really impressive pyramids on the world and even climb most of them. 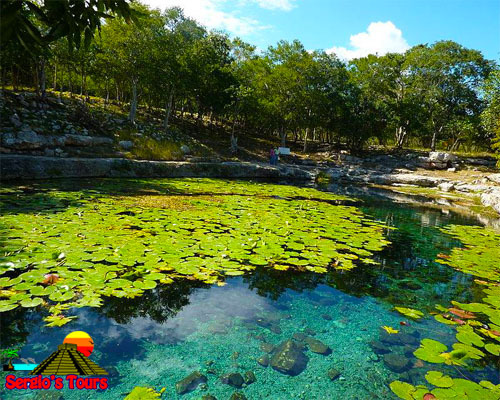 Refresh yourself into a deep cenote. 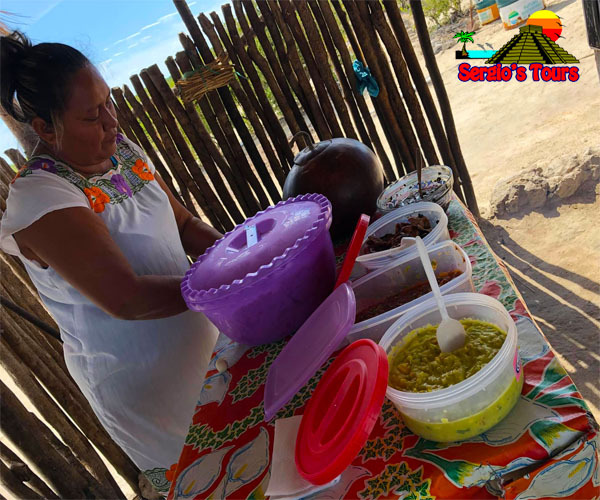 Taste the traditional Yucatan food all cocked from scratch. 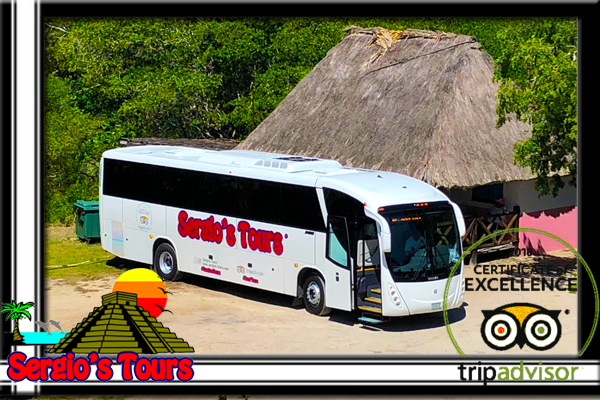 We will pick you up right at the pier a few steps from the ship and get you on a nice quality air conditioned a/c van. 1hr. ride from the ship totally worth it once you get there you will get impress. 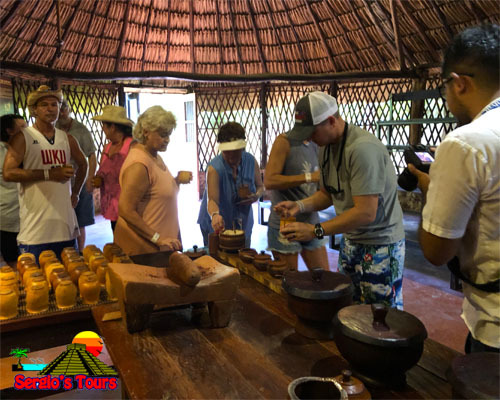 A specialist tour guide will give you all explanations and show you the magic of the Mayan. 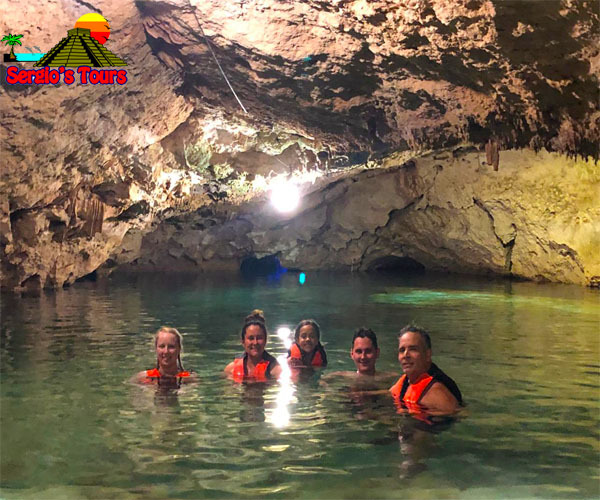 Experience how it is to be underground and swim at a cenote. 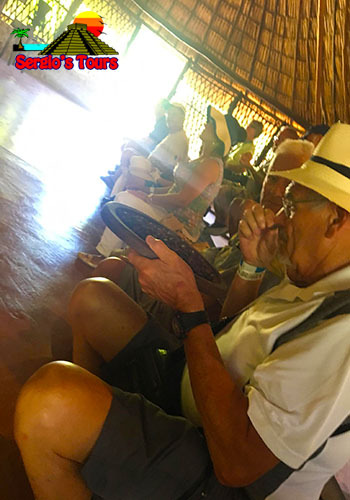 If you had never eaten at a Hacienda you cannot miss this chance. At the end of the day you will be returned safe and sound back to the ship. 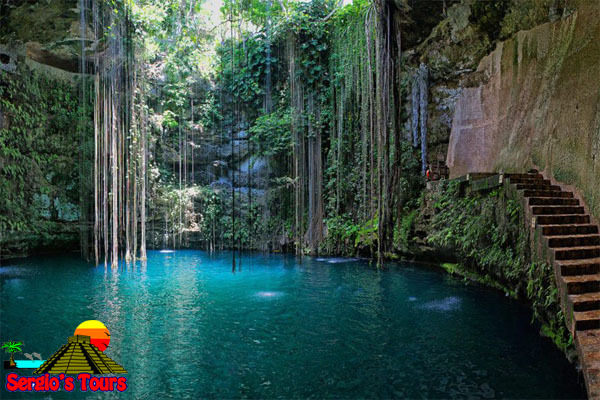 Jump in into a refreshing cenote located inside of the Mayan ruins. 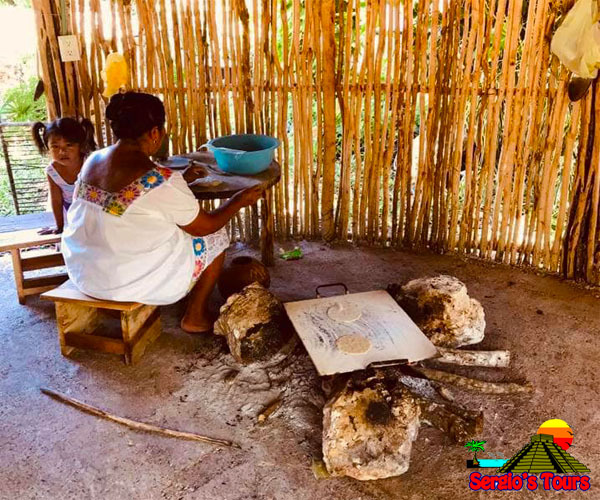 Taste the traditional Yucatan food all cocked from scratch. 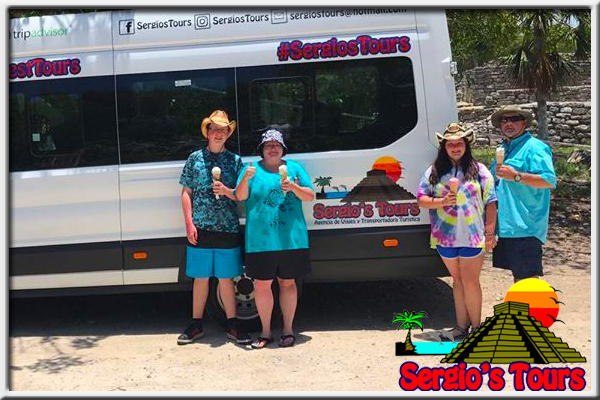 We will pick you up right at the pier a few steps from the ship and get you on a nice quality air conditioned a/c van. 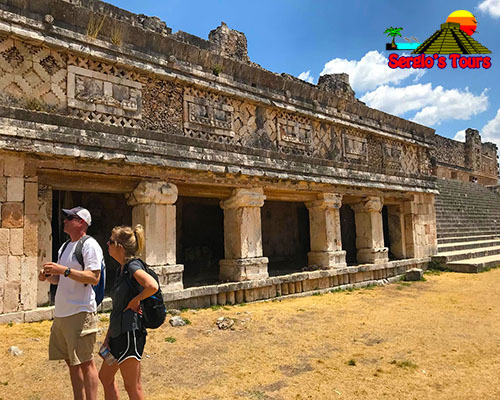 25minutes from the ship you will arrive to the biggest and closest from the ship Mayan ruins where an expert will show you all about it while you climb and walk around the Mayan pyramids. 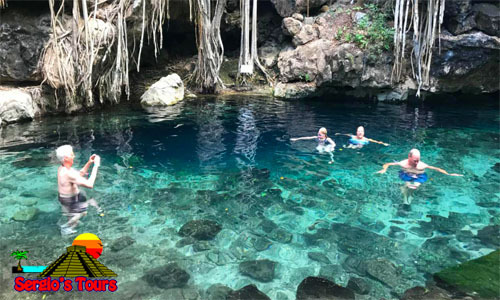 Once it gets to how you will put your swim suits on and jump in into one of the most beautiful cenote fresh water springs. 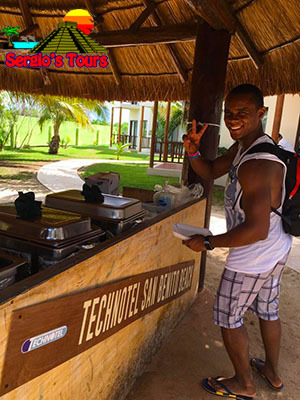 Taste the most traditional Yucatán delicacies at a buffet. At the end of the day you will be returned safe and sound back to the ship. 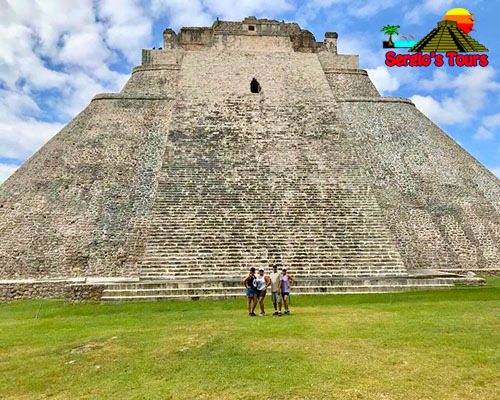 Get to know the Yucatan coast best kept secret. 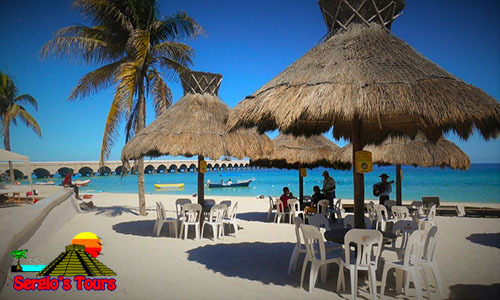 Experience an old Mexican beach place. 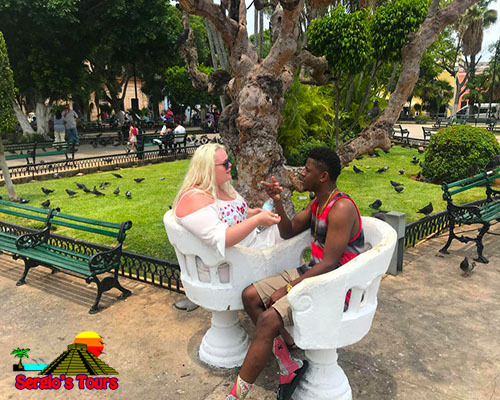 Not crowdy or touristy as other ports so everything that you will find its totally unique and cheaper. 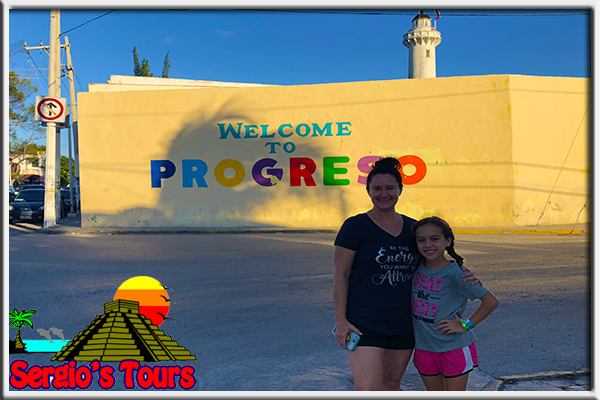 We will pick you up right at the pier a few steps from the ship and get you on a nice quality air conditioned a/c van. 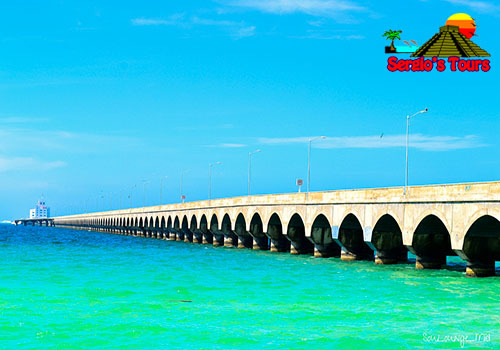 We will drive 5 miles from the pier to town as being the pier the longest on the world. 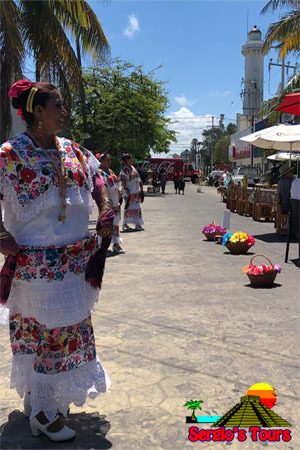 Once at town you will be taken to the highlights and interesting spots from our little city. 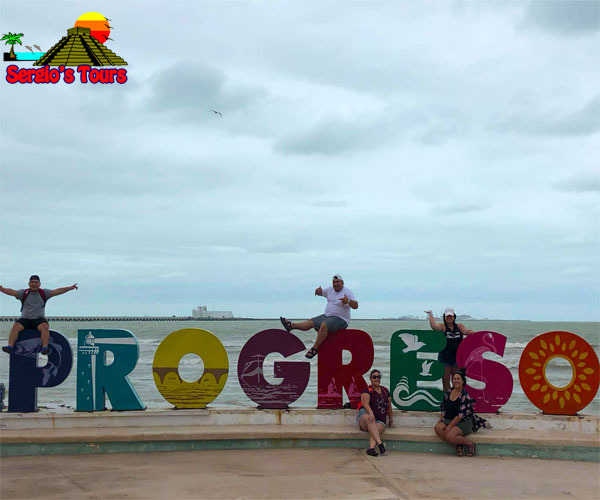 You will have some walking at the touristic area of Progreso Beach. 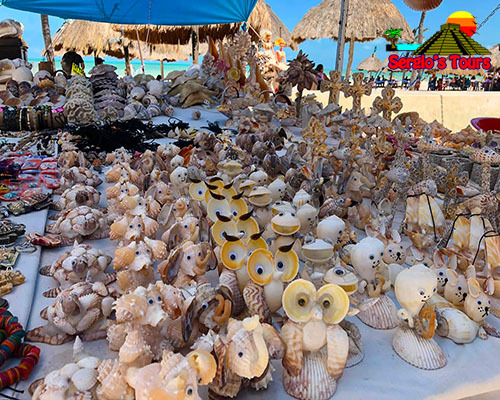 We will take you to the best quality stores at the shopping area where all local handcrafters are ready for cruise day. 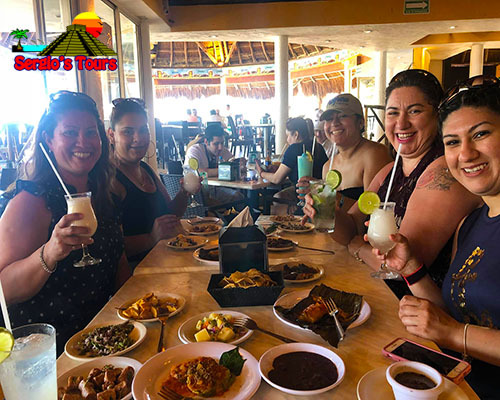 The first round of drinks is included and lunch as well at a traditional local restaurant. 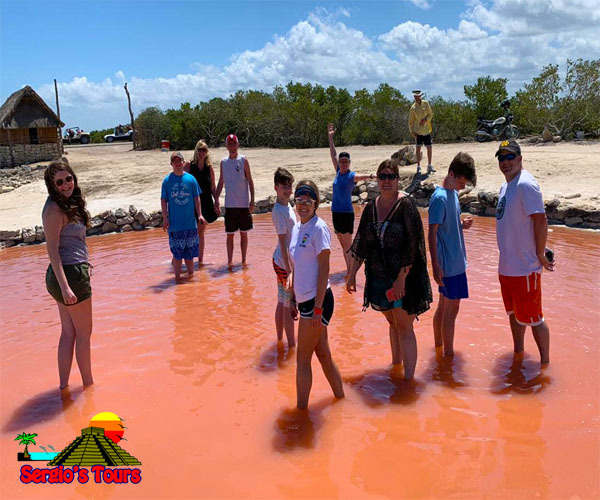 Enjoy the rest of the day at the beach. At the end of the day you will be returned safe and sound back to the ship. 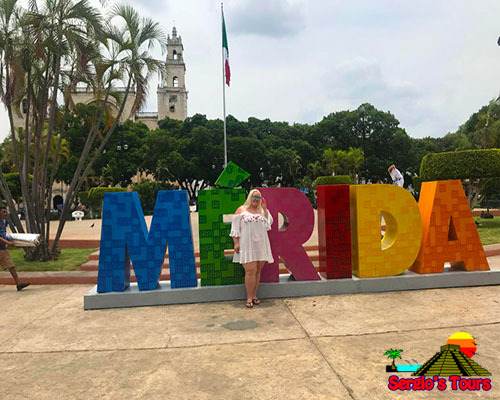 Mérida is the first Spanish foundation. 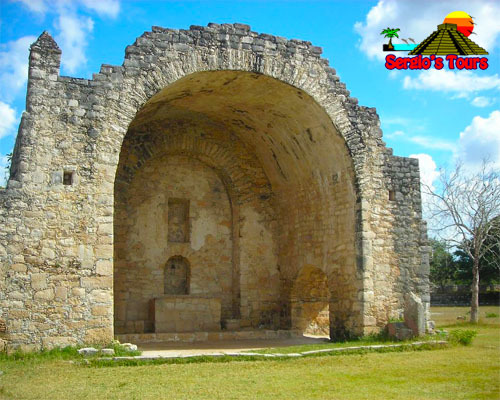 Get to see the most beautiful colonial buildings from our Spanish heritage. 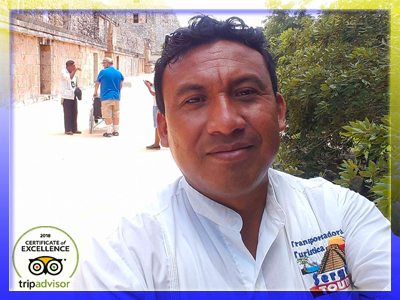 Meet the friendliest and warmest people on the street at the best city for living in México. 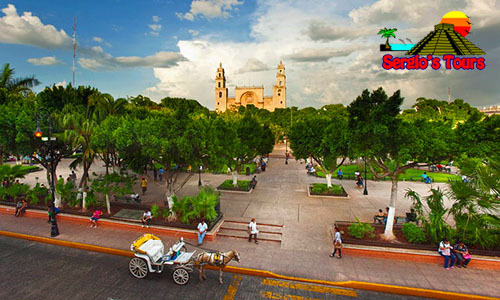 Yucatán has been award with the 1rst place on being the safest state of México and Mérida as the best city for living. 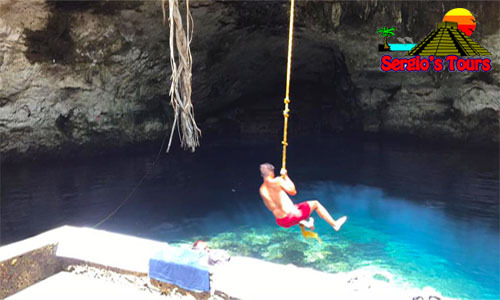 You will also discover which American chain store is the only one in the world with a Cave Cenote on the parking lot. 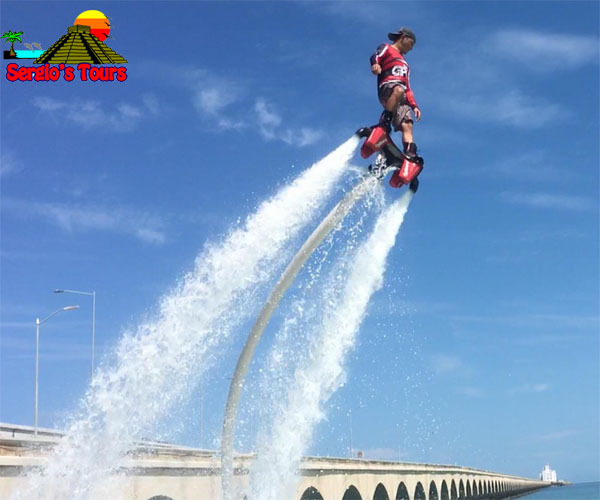 We will pick you up right at the pier a few steps from the ship and get you on a nice quality air conditioned a/c van. It will just take 25mins. From the ship to get to the city. Buildings everywhere and people on the street. 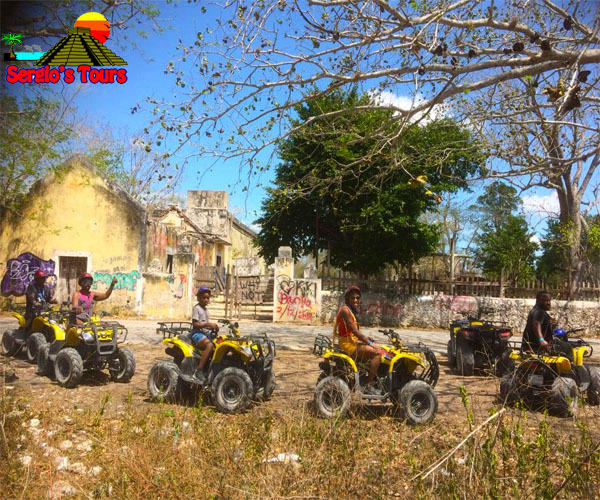 You will be taken to the most important spots at the city. 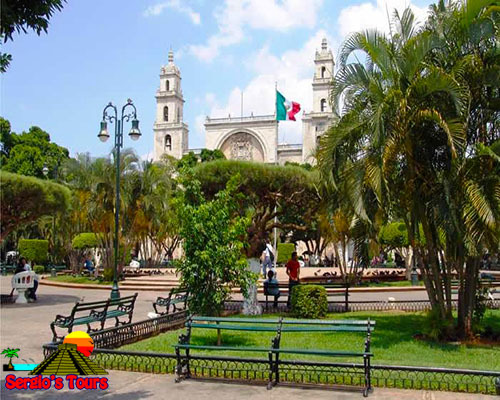 The main avenues, monuments, parks, buildings and local markets. You will also have time for shopping. 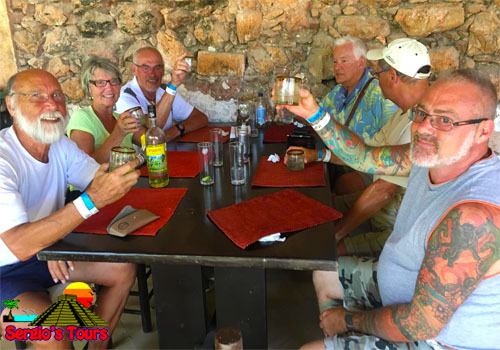 The first round of drinks is included and lunch as well at a traditional local restaurant. At the end of the day you will be returned safe and sound back to the ship. 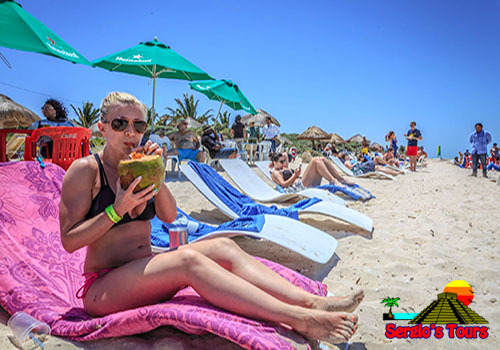 Get treated as royalty as we picked the best place for you to have a break from the other stuff at the ship. 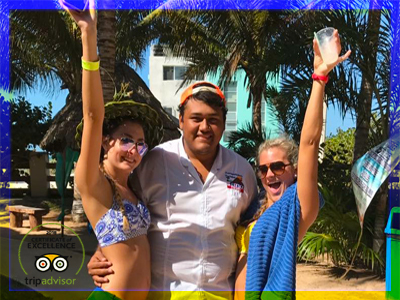 From the pool to the beach to an open bar and all your Mexican favorite food on an all you can eat buffet. 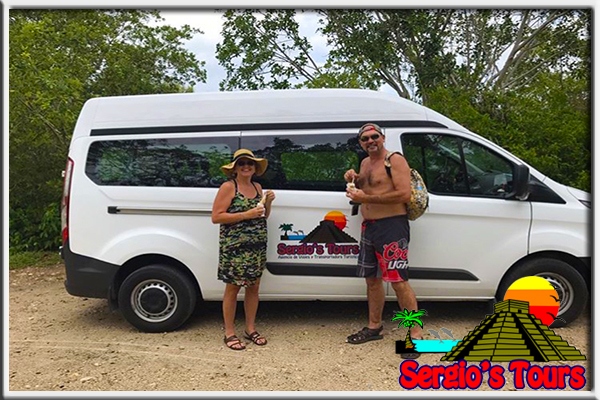 We will pick you up right at the pier a few steps from the ship and get you on a nice quality air conditioned a/c van. It will just take 15mins. 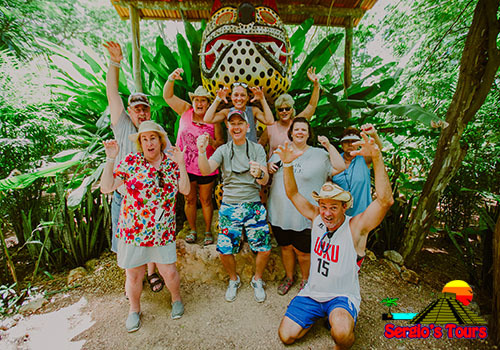 From the ship to get to the beach resort where you will find two pools and a really nice beach. 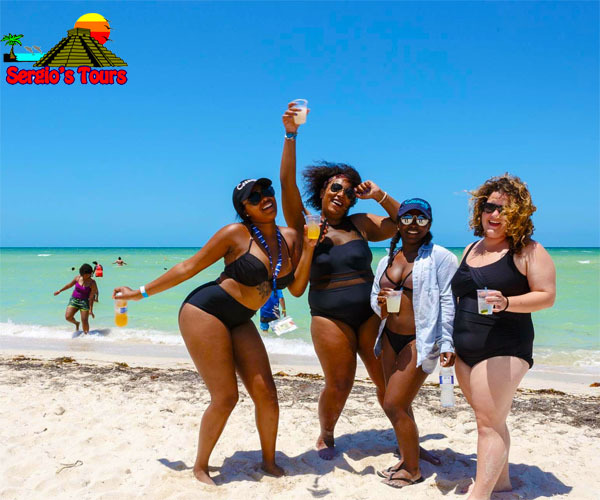 All can drink beer, tequila, piña colada, rum, vodka and water if you want plus an all you can eat buffet with cheese quesadillas, nachos, chicken fajitas, rice, beans and the cheff special… Mayan Chicken tacos. 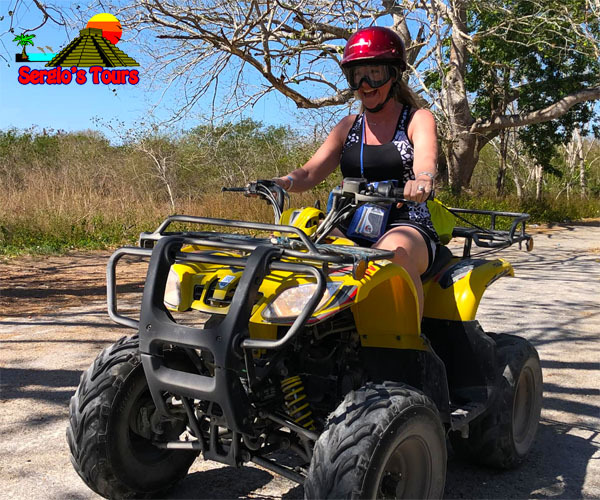 You will also find massages stands and water sports. At the end of the day you will be returned safe and sound back to the ship.